The city has a handful of tax-increment financing districts, with $4.37 million in outstanding TIF obligations. While a few of these TIF districts require no annual action other than reporting, the Campustown/Kingland TIF requires council approval to allow the rebate of incremental taxes ($302,218 this year). In order to receive certain financial incentives, the developer of the old Crawford school property is requesting that the council establish an urban revitalization area. The staff report supports the claim that the building is of sufficient historic value to qualify for a URA. The staff report also presents the council with a choice of two nearly identical lists of criteria for the URA, the only difference being whether to require future council approval of the site plan and architectural plans. 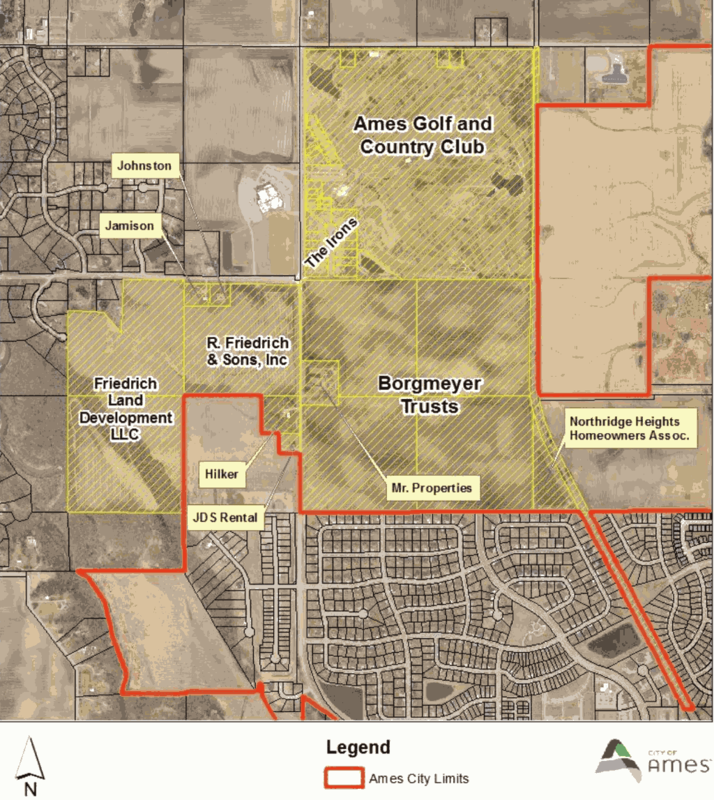 At the request of Friedrich & Sons, the developer planning to develop properties south of Cameron School Road and west of George Washington Carver Avenue, the council is considering an amendment to the urban fringe map. The developers seek to have the area changed from its current designation of “transitional” to “urban residential,” which would allow for future annexation. Staff are suggesting including the area east of George Washington Carver in this change. In order to change this area, both Story County and Gilbert have to agree. Currently, the county has done so, and the Ames Planning & Zoning Commission has recommended the change. In 2011, the council referred a proposal to staff that would have amended the tax abatement criteria to include new construction as eligible for tax abatement. Though the proposal was referred at that time, no follow-up council action was then taken to officially amend the criteria. Fast forward to 2017, and the council is being asked to consider it again. Staff are reporting back on several topics related to parking, including fines, fees, equipment, and maintenance schedules. Our fines for parking meter violations are fairly low, compared to other communities, but staff aren’t recommending an increase. (Ours are currently $5, whereas many communities have a minimum fine of $10.) In addition, the council is frequently asked to simplify or modify neighborhood parking standards, and it’s being suggested that the new Campus and Community Commission undertake outreach on that. In June of this year, Council asked staff for a workshop on our carbon emission goals. The current goals were set by the city after the 2007 Mayors Climate Protection Agreement, and have long since expired or been met. Now the council needs to decide if and how to establish new carbon reduction goals.